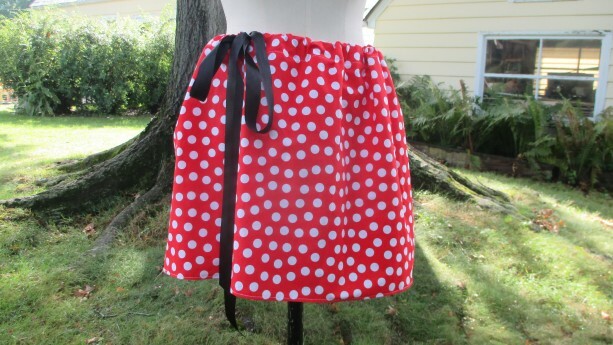 This is a handmade, drawstring (ribbon) skirt! 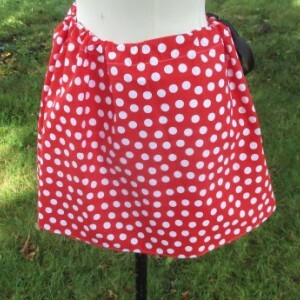 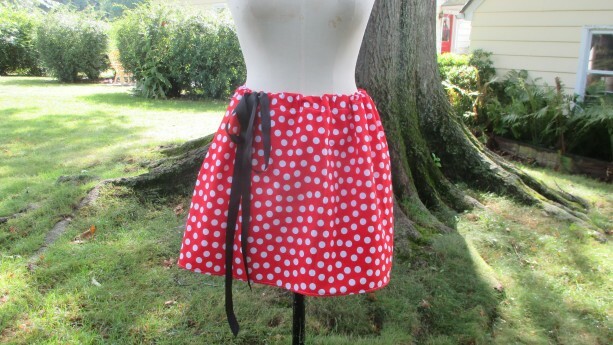 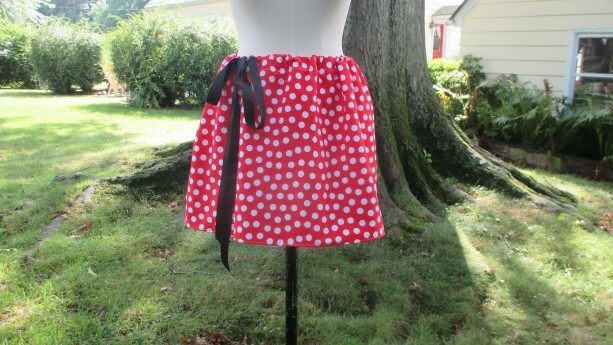 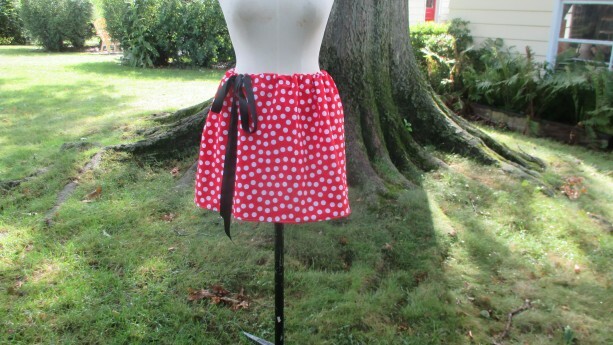 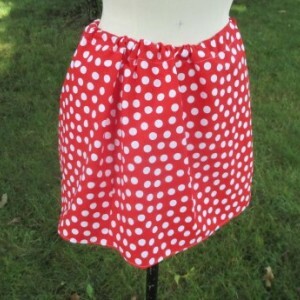 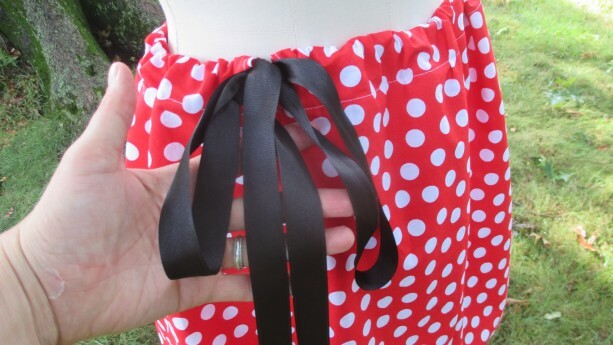 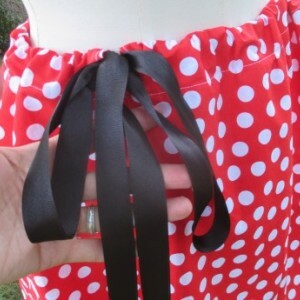 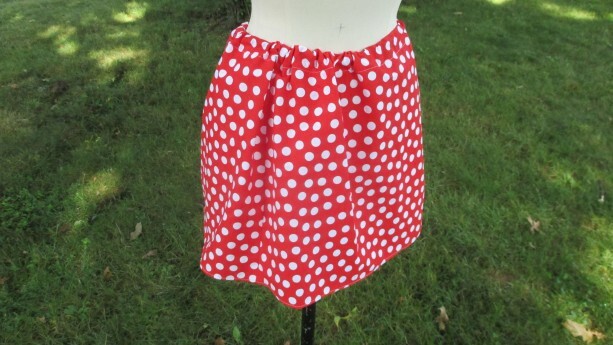 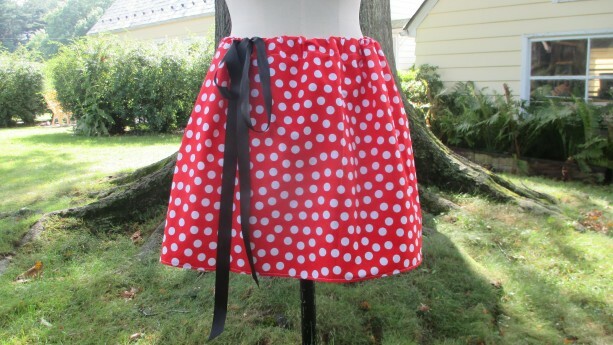 This adorable red and white polka dot skirt is made from 100% cotton material and has a black ribbon drawstring! 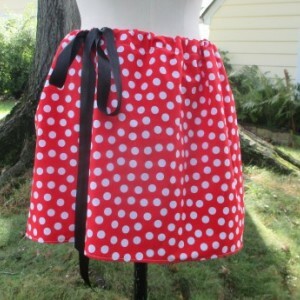 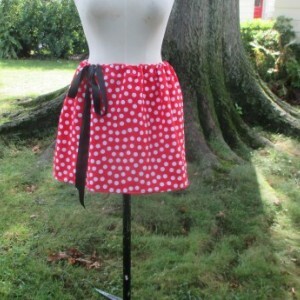 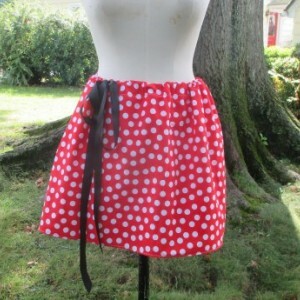 This sweet skirt was inspired by Minnie Mouse and is not only so sweet, but is also super comfy! 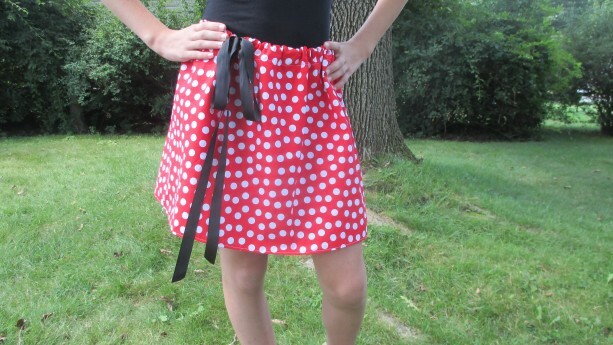 The material for this skirt is a little stiffer and makes it a little more structured. 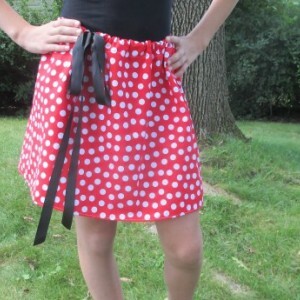 This skirt's waistband expands to 45 inches and can fit from a size 0-16! 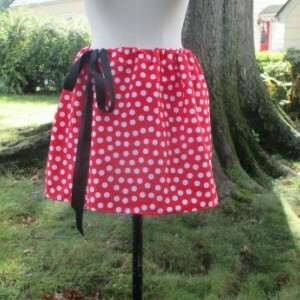 (the first model is a size 1 and the second model is a size 16. 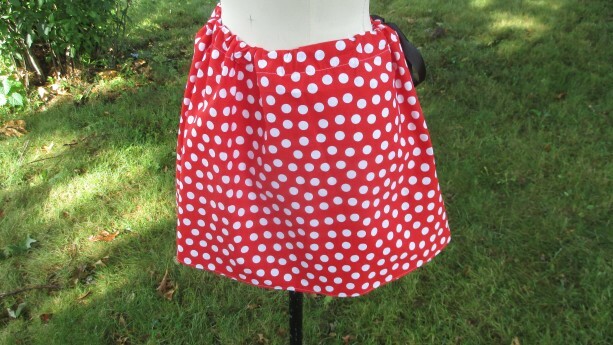 The mannequin is a size 6-8) Perfect for the beach, for a sweet skirt to wear out and about, for a Minnie Mouse costume or anything you can think of! 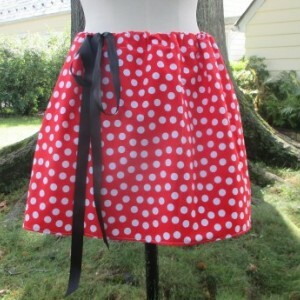 The measurements of this skirt are: Waist: Up to 45" Hips: Up to 50" Length: 15 1/2"